Cst. Kirk was driving southbound on Yonge St. 1 mile north of Thornhill when his car was sideswiped by a northbound car causing the car to roll over several times. His body was found 65 feet from the car. He suffered a broken neck and died. 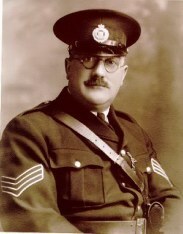 As a result of his death, the County Warden and Commissioners provided a $2000 insurance policy on each constable.